Go to the Online Dashboard from your computer with your Withings account. Select the Menu icon in the upper right-hand corner. Select Configure a Wifi Body-Scale WBS01. 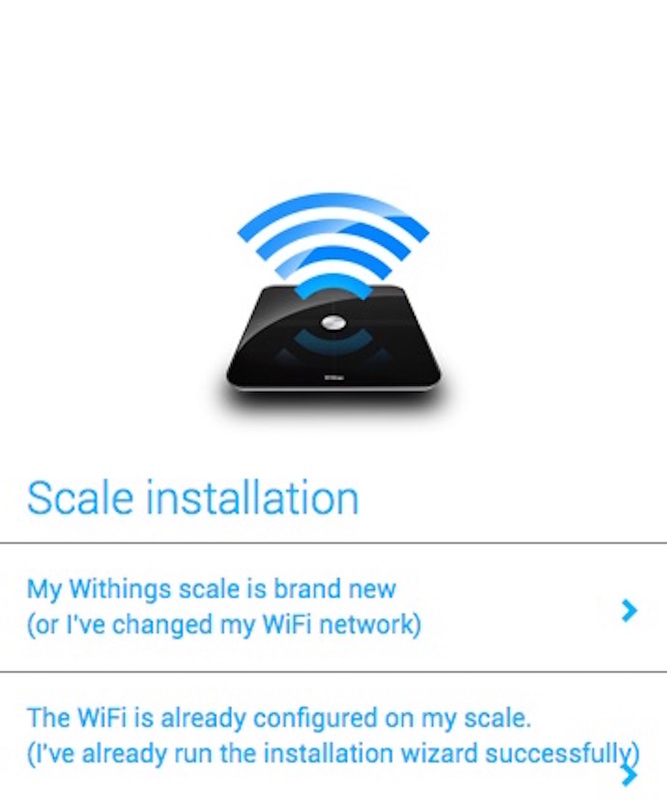 Select My Withings scale is brand new (or I have changed my WiFi network) and download the pairing wizard. Follow the instructions provided by the pairing wizard. Right click (control click) on the pairing wizard and select Open. In the box with the message Pairing Wizard is form an unidentified developer. Are you sure you want to open it? click Open. - If you're using a Windows computer and get an error when downloading the pairing wizard, try downloading it using Firefox. Wi-Fi Body Scale (WBS01) - I'm having issues installing my device. What should I do?